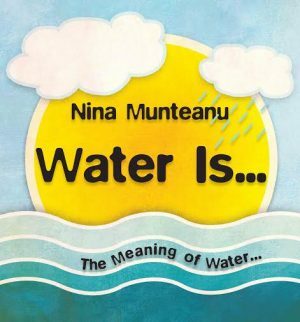 Originally published on October 31, 2016, this article is updated with the news that Nina’s Water Is…The Meaning of Water, is recommended by Margaret Atwood in “The Year in Reading,” published by the New York Times. Nina Munteanu is a Canadian ecologist and internationally published novelist of science fiction and fantasy. In addition to eight published novels, Nina has written award-nominated short stories, articles and non-fiction books, which have been translated into several languages throughout the world. Recognition for her work includes the Midwest Book Review Reader’s Choice Award, finalist for Foreword Magazine’s Book of the Year Award, the SLF Fountain Award, and The Delta Optimist Reviewers Choice. Nina regularly publishes reviews and essays in magazines such as The New York Review of Science Fiction and Strange Horizons. She serves as staff writer for several online and print magazines, and was assistant editor-in-chief of Imagikon, a Romanian speculative magazine. She currently writes for Amazing Stories and is an editor of Europa SF, a zine dedicated to informing the European SF community. Nina teaches writing at the University of Toronto and George Brown College. I met Nina a few years ago and am very thankful that we now have a chance for a chat, and that I can pass on her invaluable knowledge and wisdom to readers. Mary: Nina, thanks so much for the talk with us today. I remember you from a few years back, when I began archiving books about climate change and the environment. And you’ve submitted a review or two of other books, as well as your own (Darwin’s Paradise and Angel of Chaos), to the site. It’s hard to know where to begin. You are a prolific writer who has published novels, short stories, and articles. And you’ve won some awards. What got you started in this writing career–and what drew you to both science fiction and eco-fiction (they can and do overlap!)? Nina: Yes, these two forms of literature certainly do—definitely in my case. All my works are eco-fiction and can be and are identified under the larger genre of science fiction, the fiction of “the large.” I got started with the classics. I adored the sensual writings of Thomas Hardy. I read Dostoevsky, George Elliot, and Shakespeare. Then I discovered the metaphoric writings of Ray Bradbury, Aldous Huxley, and George Orwell. I read Isaac Asimov, Robert Silverberg, Robert A. Heinlein, Ursula Le Guin, and John Wyndham. I was hooked on their fiction of large issues. I’m an ecologist. My fiction and my ecology have co-evolved in a synergistic way. My interest in ecology stems from my interest in preserving this planet as well as my fascination for how Gaia works; these themes pervade most of my fiction and many of my non-fiction articles and essays. The science of ecology studies relationships more than any other science: it looks at how things relate to one another. Ecology is the study of communities and ecosystems and how these interact in a global setting. Science fiction writing explores the interaction of humanity with some larger phenomenon involving science. SF writer Robert J. Sawyer calls it the fiction of the large. Large ideas, large circumstance, large impact. Both ecology and science fiction explore consequence in a big way. My ecological interests and experiences have influenced my writing in every way: in providing me with ideas, in world-building, and in the interactive fractal nature of plot, theme, character, and premise. For me, these are intertwined. Writing science fiction has opened the doors of creative problem-solving in my scientific pursuits; and my science has opened windows of possibilities in my writing. It’s a win-win situation, really. Science fiction is the literature of consequence that explores large issues faced by humankind; it can provide an important vehicle in raising environmental awareness. Environmental issues are largely a global phenomenon—concerns like water quality and quantity, air pollution, resource acquisition, allocation and sharing, wildlife extinction, etc. Science fiction is the literature of consequence that explores large issues faced by humankind; it can provide an important vehicle in raising environmental awareness. Literature in general has always served as a cultural reporter on themes important to humanity. The science fiction genre—and speculative fiction particularly—explores premises based on current scientific and technological paradigms. What if we kept doing this?…What if that went on unchecked?… What if we decided to end this?… These are conveyed through the various predictive visions from cautionary tales (e.g., Atwood’s Oryx and Crake) to dystopias (e.g., Huxley’s Brave New World). Mary: Thanks so much for this explanation. Too often critics like to cage science fiction into a genre fiction of outer space or flying squids. It’s not true, and I’m so glad that you clarified this for our readers, and I’d like to continue this conversation. I remember a couple years ago you had something in Amazing Stories about environmental science fiction. But, sadly, it seems that there have always been genre elitists; in the past they didn’t think science fiction was as important or as serious as literary fiction. These days there are also views that think science fiction is too escapist to deal with modern environmental problems. When I think back on genre fiction, science fiction has seemed to dominate the scene when it comes to imagining and painting worlds where human impacts on the environment take place. These can be very powerful stories. Looking at authors like Frank Herbert, Ursula K. Le Guin, Kim Stanley Robinson–and so many more–it seems to me that science fiction has always attended to environment and society. In fact, the way eco-fiction came about had to do with not only an exploding ecological natural history and political activism in the 1970s, but the first time the term was used was with John Statdler’s book Eco-fiction, an anthology of…you guessed it…environmental science fiction, with major authors of that time like Ray Bradbury, John Steinbeck, Isaac Asimov, and many others! What are you ideas on all this? What do you say to people who say science fiction isn’t as important as other genres, is less serious than literary fiction, or is being replaced by new genres that really speak to environmental issues? Nina: I would remind them that science fiction is a powerful literature of allegory and metaphor and deeply embedded in culture. By its very nature, SF is a symbolic meditation on history itself and ultimately a literature of great vision. Some of the very best of fiction falls under the category of science fiction, given the great scope of its platform. Many dismiss science fiction as escapist literature. Others may not even recognize that they are reading or watching science fiction. From its early form to its contemporary form, writers of the genre have created powerful metaphor of great scope that has examined our greatest creations and deepest choices. Science fiction is subversive literature that illuminates our history and our very humanity. It does this by examining our interaction with “the other”—the unfamiliar and unknown. A scientific discovery. An environmental disaster. A calamity related to climate change. From Shelley’s promethean Frankenstein to Atwood’s environmental dystopia Oryx and Crake, science fiction has co-evolved with its culture, subverting the status quo by pointing to choice and consequence. The science in science fiction also includes the natural sciences and all involve science as a “character,” from Barbara Kingsolver’s monarchs to Frank Herbert’s sand worms. Unfortunately, the media—particularly those involved in the film and TV industry—often find the need to confine SF to the areas of science that are involved only with technology, space, and places far far away. This boxes science fiction into one small aspect of the larger genre. The literature of science fiction includes some of the best socio-political writing there is on the planet. Writing that includes Orwell’s Nineteen Eighty Four, Huxley’s Brave New World, Bradbury’s Fahrenheit 451, Heinlein’s Stranger in a Strange World, Asimov’s I, Robot, John Wyndham’s The Chrysalids, and Ursula Le Guin’s Left Hand of Darkness. More and more literary fiction writers are embracing the science fiction genre (e.g., Margaret Atwood, Kuzuo Ishiguro, Michael Chabon, Philip Roth, Iain Banks, David Mitchell); these writers recognize its immense scope and powerful metaphoric possibilities. From science fiction to eco-fiction is a natural process. Exploring large societal and planetary issues is the purview of both. Mary: I agree with you 100%! I remember reading some of the earlier and very iconic works you’ve mentioned and being absolutely blown away as a kid, a young adult, and still as an older adult. You not only write professionally but you blog, you teach, and you offer writing workshops. This question is specific to how students are these days. It’s been two decades now since I was in college–hard to believe–but often when we think of our future on this planet, we know that the younger generations will inherit our messes. Do students these days care about this, and how much? Does it come up often in your writing courses, and do you have any courses specifically tailored to eco-writing? Nina: As a matter of fact, I have been noticing a trend in writing toward ecological issues over the years in my “How to Write Science Fiction” class. It’s a workshop-style course I teach at George Brown College and students are encouraged to bring in their current work in progress. More and more students are bringing in a WIP with strong ecological overtones. I’d say the percentage now is over 70%. This is definitely coming from the students—it’s before I even open my mouth about ecology—and what it suggests to me is that the welfare of our planet and our ecosystems is on many people’s minds and this is coming through in our most metaphoric writing: science fiction. I don’t currently teach a specifically tailored eco-writing course, nor do I know of any in the universities and colleges here in Toronto. However, I devote a portion of my SF course to world building and to using ecology in storytelling (whether literally or metaphorically as “character”). Mary: That’s very good to hear. And I seem to see the same things, but I always wonder how biased I might be! So, I want to talk about your own writing. Readers of this interview can visit your website to look at your books and articles. Maybe you could talk about some of your favorite books? Nina: I am still very fond of my first two books, a duology set in climate-changed southern Ontario: Darwin’s Paradox and Angel of Chaos. Written as an environmental-technological thriller, the duology follows the story of a bright data analyst who finds that her special gift (of talking to machines) threatens civilization—or may be the only thing that saves it. At its core, the duology explores humanity’s historic and ongoing connection—or disconnect through technology—with Nature and the consequences of that relationship. 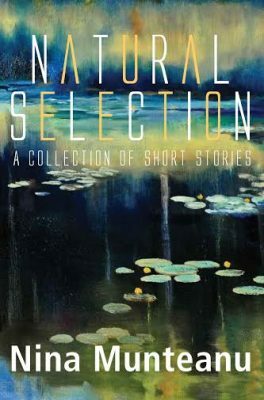 Another favorite is my collection of short stories on our evolving and tenuous relationship with our environment and technology: Natural Selection. This collection of dark tales spans a range of possible scenarios from GMO terrorism to cyberspying. Mary: I will also ask you about your newest book, Water Is…The Meaning of Water, but first, I see also that this book “represents the culmination of over twenty-five years of dedication as limnologist and aquatic ecologist in the study of water. As a research scientist and environmental consultant, Nina studied water’s role in energizing and maintaining the biomes, ecosystems, and communities of our precious planet.” My first question is, how do you find the time? My second question pertains to your major findings and what we’ll learn in this book. Nina: Great questions! First, I don’t so much “find the time” as “make the time”. Sometimes that means “stealing the time” into the late hours or snatching precious breaks in a favourite cafe. I am driven to write. My author website gives my mantra: “I write to live; I live to write.” I am no more alive than when I write and I think one of the reasons is that I believe my writing (anyone’s writing) is important and vital to a society and a culture. As writers and storytellers, we express who we are. Like shamans, writers (all artists) express what a culture needs but can’t or won’t express. This brings me to my latest book Water Is…The Meaning of Water. To answer your second question, I think different people will learn different things from it. This is because water is both the question and the answer. The book is long (584 pages) and provides, often through personal experience and story, many interesting things about this amazing and anomalous substance. It is, as my colleague Emmi Itäranta said in her foreword to Water Is…, a biography on water. My intent with the book is to promote a connection, from personal to spiritual, between us and water—and from that connection to one with Nature and each other. It’s an ambitious book that I hope will help people from all cultures find a better way, by having their hearts touched. Mary: I was so thrilled to see the foreword by Emmi, as her Memory of Water is one of my favorite all-time novels. I ask this of all authors. Maybe some day I’ll compile a database with the answers. Who were your favorite authors when growing up? And currently? Nina: Well, I was a late bloomer; I missed all the kid books and YA books that my brother and sister read (like the Hardy Boys, Nancy Drew, etc. ); I read mostly comic books. When I did start to read in earnest, I was voracious. 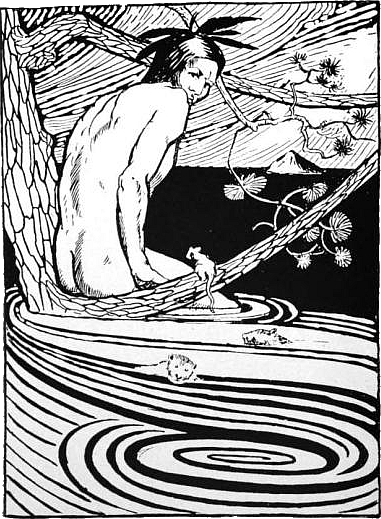 Here is a small list of favourite authors during my young adult time in high school and college: Thomas Hardy, William Shakespeare, Lewis Carroll, Boris Pasternak, Fyodor Dostoyevsky, Gabriel Garcia Márquez, Herman Hesse, John Steinbeck, Scott Fitzgerald, Jane Austen, Charlotte & Emily Bronte, Leo Tolstoy, George Elliot, Ray Bradbury, Isaac Asimov, Ursula Le Guin, Robert Silverberg, Aldous Huxley, George Orwell, John Wyndham, Greg Bear, Frank Herbert, and Harper Lee. I would add now: Barbara Kingsolver, Margaret Atwood, and Emmi Itäranta. Mary: Is there anything else you would like to add? Nina: I’d just like to thank you for this wonderful opportunity to talk about eco-fiction in general and my latest book, Water Is… Thanks, Mary! Mary: No, and seriously, thank you. I’m such a fan of yours, and it’s a complete honor to talk about your work!